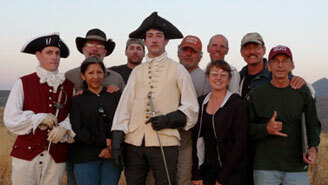 Martinez Academy of Arms along with Palpable Hit Productions has created and produced our third instructional DVD set on the French School of small-sword instructional DVD set. 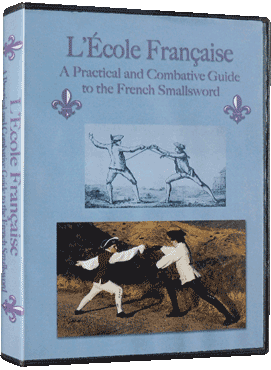 This newest addition to our instructional series is on the L’École Française: A Practical and Combative Guide to the French Small-sword. The first DVD devoted to the French school of Small-sword fencing is taught by Maestro Jeannette Acosta-Martínez with the assistance of Maestro Ramón Martínez, Instructor Cecil Longino and advanced student Mr. Alexander Petrovski. Included in disk one, as an extra special feature is a short history of the French School of small-sword narrated by Anthony De Longis. This segment sheds much light on the history of the French School and on the development of the of small-sword. Disk three continues to build upon the foundational skills of the first two disks. In this third installment of this instructional series an in depth analysis of measure and time is presented. In addition, while the technical aspects of the application of “opposition” have already been demonstrated within this series, this section includes a detailed discussion of small-sword fencing, as an “opposition system”, which is an important but little understood concept. Finally, as a special bonus feature Anthony De Longis presents two sections, one on French small-sword theory for self-defense with the cane versus armed and unarmed situations and the other on the importance of historical accuracy in fight choreography for stage and film.